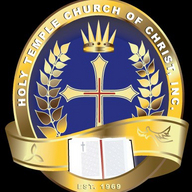 The Holy Temple Church of Christ, Inc.
We are a ministry founded on the Apostolic Doctrine. We have established a reputation of being "God's Power House and Saving Station", by ministering to the lost and brokenhearted. We are committed to serving with respect, honor, and dignity. We serve our community, our nation and our world in the spirit of love, compassion, and integrity; reaching the lost at any cost. We are dedicated to educating, mentoring, supporting and developing spiritual leaders. CD and DVD copies of the morning worship service are now available for purchase. To place an order, please contact HTCAVMINISTRY@GMAIL.COM. You can now donate or pay your tithes and offerings right here from our website via PayPal at www.htconline.org. Your donation is tax deductible.